The Cobra King Junior Complete Set features everything a golfer needs to hit the course. It includes a driver (13 degree), a fairway wood (18.5 degree), a hybrid (23.50 degree), 6-PW, SW cavity back irons, and a blade style putter. 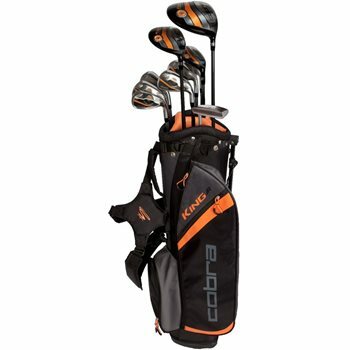 The King Junior set also includes a Cobra stand bag.